Properties in Westland District average 4.5 out of 5 stars. Property 13: Comfortable, large family bach. Private Garden Haven in Hokitika. Property 16: Private Garden Haven in Hokitika. Property 18: Ocean on the doorstep. 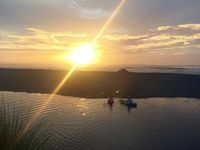 Property 23: Sea, mountain and rainforest views - life is good in Okarito! Revell Street Cottage is freshly renovated (interior) clean and comfortable. Property 24: Revell Street Cottage is freshly renovated (interior) clean and comfortable. 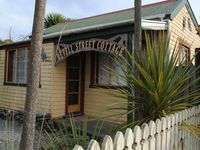 Property 27: Kiwi Cottage is a simple and cozy cottage nestled in the very heart of Okarito! Property 34: Wharf Cottage offers views to Okarito lagoon, the Tasman Sea and mountains. Property 38: Interesting Historic Villa on large quiet section. Seaside and Central with great views in both directions. Property 39: Seaside and Central with great views in both directions.